Hi I’m Stacey, director of Forever Flowering. A few years ago I would spend a small fortune on fresh flowers for my home. I absolutely love the way flowers can brighten up any room and any mood. I would buy a fresh bunch every two weeks, some would barely last that long without wilting. 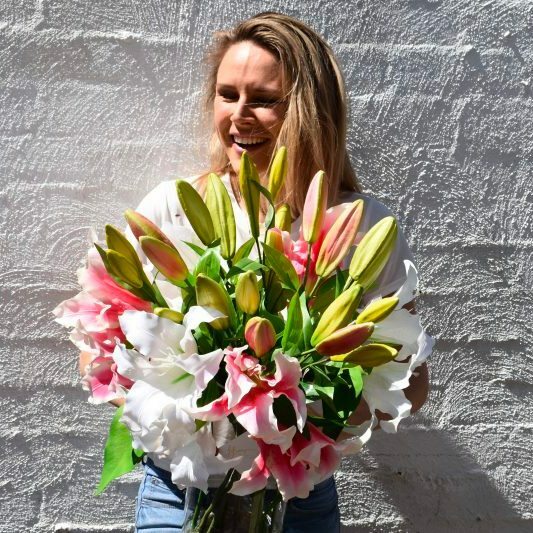 Between my little girl pulling the petals off, the water spilling everywhere and my partner constantly sneezing every time he was near the flowers – I was about to give up on flowers and just buy them on “special occasions”. Then I discovered Real Touch Artificial Flowers. Real Touch flowers are made from latex, and look and feel just like fresh flowers. I was in awe of these beautiful flowers… and they would last forever! Most importantly, they are non-toxic – so safe around my little girl Sienna and are allergy-free so no more itchy eyes and noses. My friends and family would come over and compliment me on my new flowers. When I told them they were artificial, they asked me to get them some too. And that’s how I started Forever Flowering! I now make all the arrangements by hand in my personal workshop and ship them out to customers Australia-wide. These flowers really are the best quality available. I love hearing from all my customers, so please share your flowers on social media. I look forward to making your special arrangement soon. We only source the highest quality artificial flowers. With our real-touch feel, no watering and no allergies – they make the most perfect thoughtful gift. Save money with arrangements that last forever!